The Imhoff Waldorf curriculum draws constantly on the wonder of nature to inspire respect and reverence for truth and beauty in our learners. Environmental awareness is promoted by linking projects to a range of curriculum subjects. Children learn about the effects of global warming, resource use, healthy living, local and global issues and how to protect nature and promote biodiversity. Maintaining the status of being a school that is run “off-the-grid”. We use renewable solar and wind energy as our source of energy. By recycling our waste and thus being a positive role-model for surrounding neighbours, we value a litter-free school environment and use water sparingly. Linking with neighbouring schools to take environmental action. In 2011, Kommetjie Primary, Marine Primary and Imhoff Waldorf teamed up to visit the Boksramspruit river and learn about how pollution is affecting the wild Otter. We do beach clean-ups to protect the ocean from the harmful effects of pollution. We provide opportunities for learners to take responsibility. 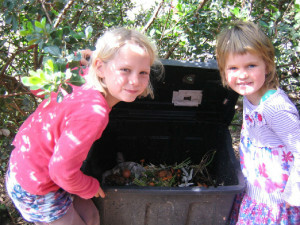 Children help the school recycle, create compost, grow vegetables and are taught to monitor the use of resources. We encourage lift clubs and support local business. We purchase locally produced food and green products. 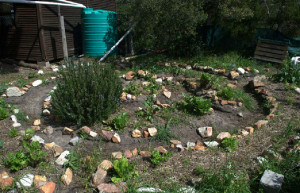 As part of Imhoff Waldorf School’s ongoing commitment to sustainable practices and environmental projects, our school is enrolled in WESSA’S (Wildlife and Environment Society of South Africa) Eco school’s project. This project aids our school by developing our environmental capacity with respect to both education and management at the school, ensuring whole school involvement and affording us the opportunity to achieve international green flag status. We obtained our eco school flag in 2011. Wessa does incredible work by providing environmental awareness within the community. 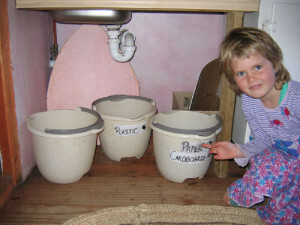 They have over 1200 schools registered with the eco-schools programme. Eco-School is an international programme of the Foundation for Environmental Education (FEE) (www.fee-international.org). To date over 30 000 schools are registered with the programme globally, with approximately 9 million students and 628 000 teachers involved! To be a supportive part of this global movement is important to our school.